Hugh W. Long J.D., Ph.D.; Janet Rice, Ph.D.; Stephen J. Leierer, Ph.D.; Claudia Campbell, Ph.D. The economic and human costs of diabetes in the U.S. population place an enormous burden on its healthcare system as well as on employers, diabetics, and their respective families. Many Medicare Advantage plans have responded to this burden by implementing diabetes case management programs (DCMPs) aimed at reducing inappropriate health services utilization, improving health outcomes, and containing costs. While the use of DCMPs is common to many health plans, the research regarding their effectiveness has been sparse or inconclusive. The purpose of this study was to help fill a critical gap in the research literature by evaluating the effect of a diabetes case management program known as CareContact on a Medicare population in Texas. 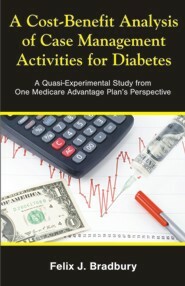 The study population consisted of 2,972 confirmed diabetic members who were continuously enrolled in SelectCare of Texas, a Medicare Advantage plan, for the two-year period between January 1, 2005 and December 31, 2006. To be eligible for this study, diabetic members had to have a minimum of 6 months without exposure to CareContact and 6 months of exposure to CareContact after the initial exposure. Twelve separate cohorts, defined by date of initial program exposure, were evaluated using a one group interrupted time series design. Cross sectional time series analysis, which combines ordinary least square regression techniques and time series analyses, was used to evaluate program effectiveness. After controlling for confounders and the effects of time, the data indicated that membership in the DCMP was associated with increased costs and increased utilization over the two-year study period. The study points to the need for further research into the effectiveness of diabetes case management programs, especially for participants of Medicare Advantage health plans. Dr. Felix J. Bradbury is the Vice President of Medical Operations at Care1st Healthplan Arizona, Inc and ONECare Medicare Healthplan. He is responsible for day-to-day healthplan medical operations including clinical oversight of the plans 52,000 members, the Medical Management Department, the Pharmacy and Therapeutics Department, and the Quality Management Department.